I have a bucket list. A list with things I’d like to do and accomplish before I die. I’ve had this list since I was young and it’s slowly build up to a longer list as I have gotten older. One of the things on my list was to make a difference in a strangers life whom I’ve barely know. Today I can finally check that off my list. After my moms death I’ve received nothing but positive words from all my friends, family, and loved ones. They have seen me struggle, they have seen me cry, they have seen me laugh, and even scream. Therefore they constantly tell me how admiring my strength is and their words continue to be a blessing in my life when times get rough. However, they know me therefore it’s a little bit normal coming from them. Today I received a letter as I was leaving class this morning. This random girl came up to me and told me ” Hey! I know we don’t really know each other but, I know your mom’s anniversary just passed and I wanted to give you and your family a little something. 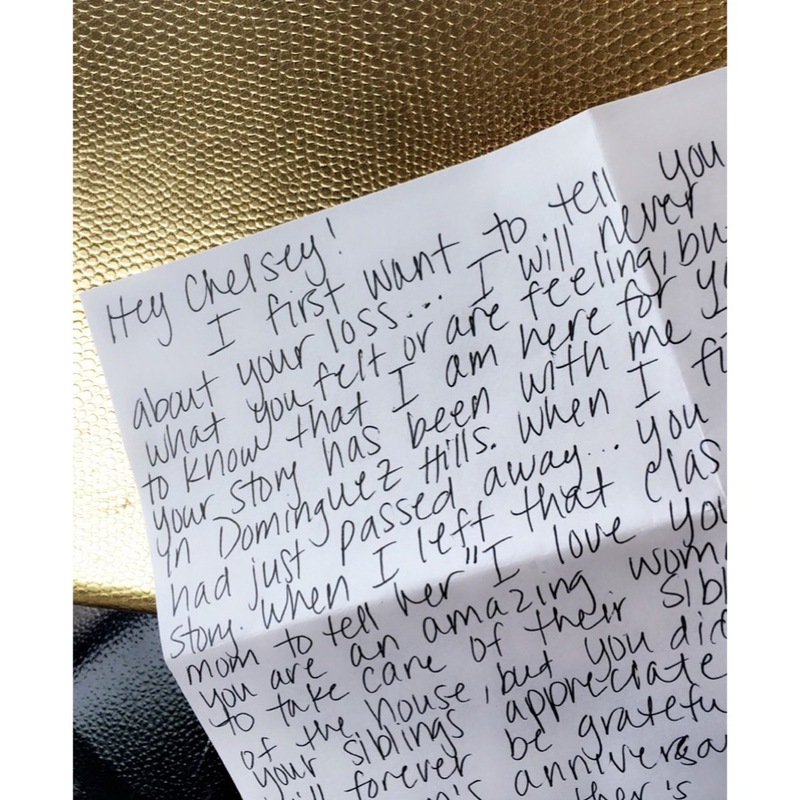 There is a letter in the envelope and it explains it all.” I was definitely caught off guard, and I knew the class knew about my mother’s anniversary because the class is about “death and dying,” so my professor had asked me a while back ago to share my story with them. But when I open this letter, I was left speechless with what I was reading! The girl stated in the letter that she had been in my class two years ago when my mother passed away. She overheard me telling the professor what had happened and why I had missed class. She said she went home that night crying, she hugged her mother and told her how much she loved her and appreciated her. Since then she stated that throughout my two years at CSUDH I have been her motivation and inspiration. She told me she appreciated me, and in her words “You have changed my life.” There is so much more to the letter, but the point is I’ve accomplished something so beautiful. I’ve always had a passion for loving and helping others, I truly believe this is my purpose in this world. I love the field I’m studying, and I can’t wait to get out there and continue to do what I did for this random stranger. This letter left me with many emotions, it brought me to tears as I thought of my mom and all that has happened. But, it also brought a smile amongst my face as I realized what a difference I have made in the life of a total stranger without even realizing it. I truly believe that this is what life is about! These are the moments that make the bad times in life easier to deal with. This is what we are here for, to leave our mark and be remembered for the wonderful things that we did… Not just accomplished ourselves but also what we did for others. This is why I let go of my privacy and share my life stories and thoughts, with so many people and total strangers.